Though the environment is necessarily a key theme in a Quarterly devoted to sustainability, in this issue we take a particularly sharp focus on in. In particular, we examine environment in scenography, performance, art and theater. 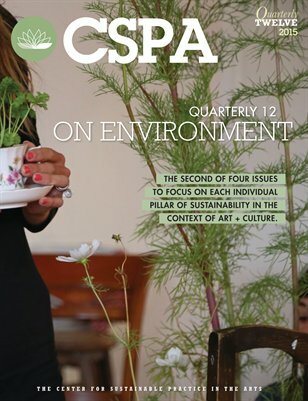 Part two of a four-part series on the four pillars of sustainability, recognized by CSPA as: environmental awareness & responsibility, economic stability, cultural infrastructure, and social equity.